Golan Heights – Where is it? 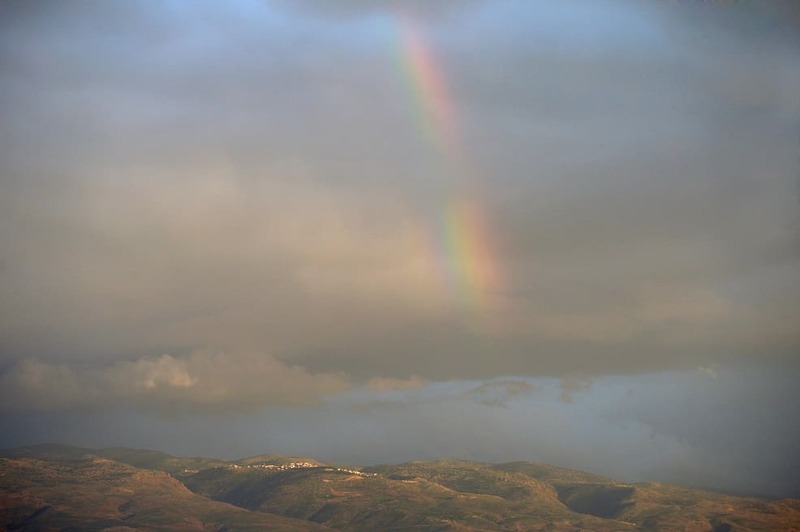 The Jewish connection to the Golan Heights begins in the biblical era and continues to this day. From the entry of Israel into the land of Canaan, the period of King Saul, the Jewish revolt in Gamla, the Talmudic period, the founding of the Zionist movement and the establishment of the State of Israel. In 67 CE the Siege of Gamla was waged in the Golan, one of the Jewish rebellions against the Roman Empire. About 9,000 Jewish warriors fell during that battle, which was similar in its characteristics to the Siege of Masada. During archaeological excavations, about 40 synagogues were discovered in the Golan Heights. At the end of the 19th century, Baron Rothschild purchased about 37,000 acres in the Golan Heights and in the Hauran (south-east of the Golan Heights today), for purposes of Jewish settlement in the Land of Israel. The Golan was under Syrian sovereignty for only 21 years, from the establishment of Syria in 1946 until the Six Day War in 1967. Israel holds the Golan for 51 years. Israel seized the Golan Heights from Syria in 1967 after years of incessant attacks on Israeli communities surrounding the Sea of Galilee and close to the border. The Syrians also took deliberate action to divert the sources of water in the Golan and allowed terrorist organizations to use the Golan Heights as a base for exporting and launching terrorist attacks against Israel. Syria never accepted the international borderline of 1923. During all contacts Israel held with the Syrians after the Six-Day War, Syria had demanded that the borderline should cross the Sea of Galilee. In 1975, Prime Minister Rabin received a letter from President Gerald Ford, informing the Prime Minister that the United States recognizes the security importance of the Israeli presence on Golan Heights to Israel. In 1981, the Golan Law was enacted, and ended the military governance on the Golan Heights and applied the democratic civil law of Israeli on the region. The Israeli Golan Heights is less than 1% of Syrian territory. For the sake of comparison, the dispute between Syria and Turkey over the Sanjak of Alexandretta – involves a territory nearly three times the size of the Golan Heights, yet, hardly anyone ever heard about it. The last time negotiations were held behind the scenes in which the possibility of an Israeli withdrawal from the Golan Heights was on the agenda was during the Netanyahu government in February 2011, just three months before the outbreak of the civil war in Syria. Since the enactment of the Golan Law in 1981, The United Nations issued 76 specific resolutions denouncing Israeli control over the Golan – at an average of about seven resolutions per year. Other cases of occupation around the world were not similarly denounced. The EU’s latest product boycott on products from Israeli settlements also applies to products from the Golan Heights. A delegation of the Swiss Ministry of Defense was reprimanded after visiting the Golan Heights three times between 2012-2015 to examine the purchase of unmanned aircraft manufactured by Israel. The visit to the Golan Heights was described by the Swiss as “a most embarrassing step” due to the fact that Switzerland does not recognize Israel’s sovereignty over the Golan Heights. In 2006, Britain’s international development minister, Priti Patel, met with Israeli officials to examine the possibility of supporting the IDF’s humanitarian activity in the Golan Heights, and was reprimanded by the British prime minister. the official reason was that Britain does not recognize Israel’s sovereign right to the Golan Heights. In May 2018, 32 rockets were fired to the Golan Heights from Syria. This was one of the most serious attacks on the Golan since 1973. In February 2018, an Iranian drone penetrated into Israeli territory in the Golan Heights. During the Israeli counter-attack, an Israeli F-16 fighter jet was shot down. This was the first time in 34 years that an Israeli fighter plane was shot down. Sovereignty recognition – why now?